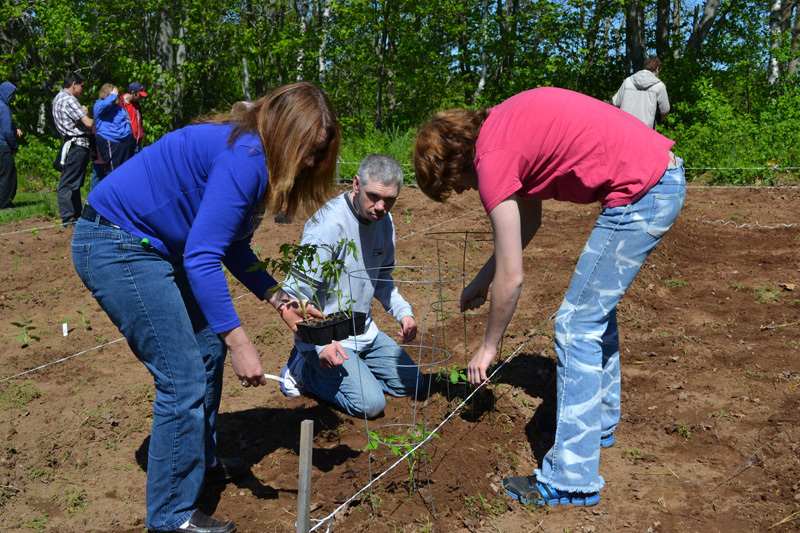 Outdoor projects such as gardening on Centre grounds are among the summer activities enjoyed by clients. 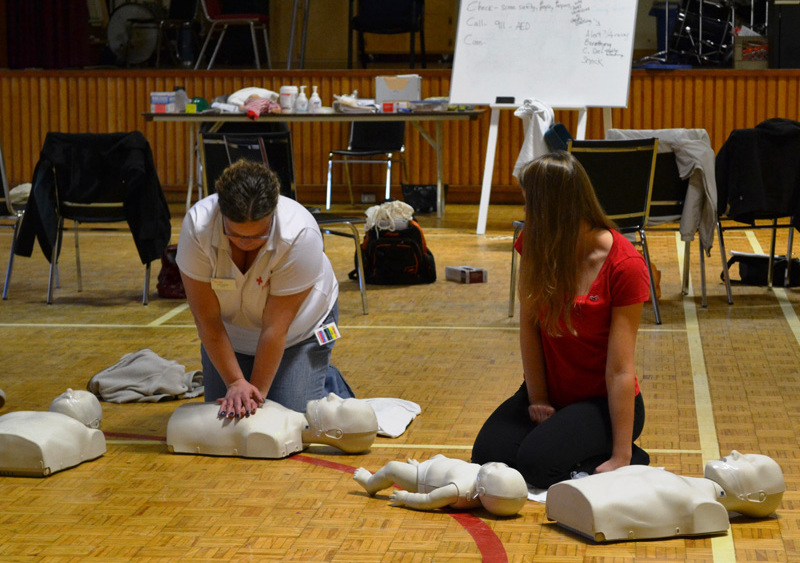 First aid is part of the training delivered to staff through the organization’s professional development services. 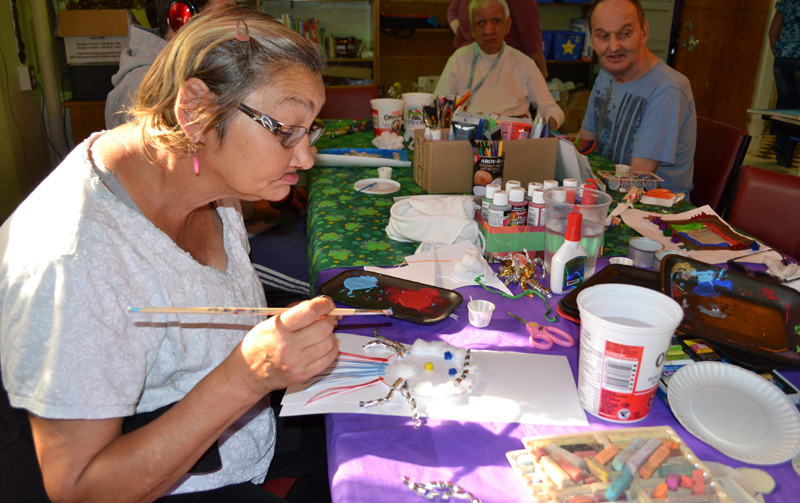 Clients are encouraged to explore their creative side through arts and crafts. Learn about Kings Regional Rehabilitation Centre news. This section includes news releases and links to published newspaper articles. Take a few moments to learn more about Kings Regional Rehabilitation Centre by viewing short video clips on various events or activities. To see more of the people and events that are part of the Kings Regional Rehabilitation Centre, browse through a selection of photos. Clients have access to professional supports including medical and dental services, nutrition, psychological and psychiatry services, social work, speech-language therapy, physiotherapy, occupational therapy, assistive technology and other resources. Over 600 staff provide quality care and support through these various programs and services. Volunteers play an important role at Kings Regional Rehabilitation Centre. Individuals and various community groups contribute their time and talents while developing friendships and demonstrate care and support that enhances the lives of someone special.